This large-format, premium-quality 256-page, hardcover book, with more than 250 photos spanning the legendary surfboard shaper’s entire life and career, was written by former Surfer Magazine editor Paul Holmes after research that included hundreds of hours of interviews with Hawk himself and dozens of his friends, associates, co-workers and contemporaries. 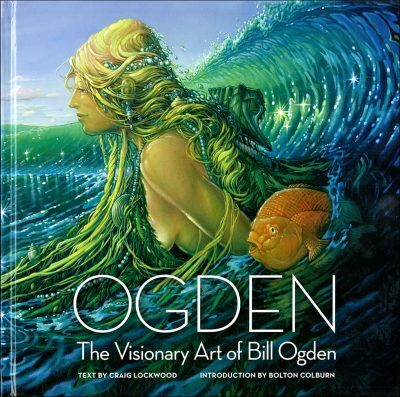 The book is more than just the story of Velzy’s extraordinary and colorful life, but also that of the development of the entire surf lifestyle and industry. 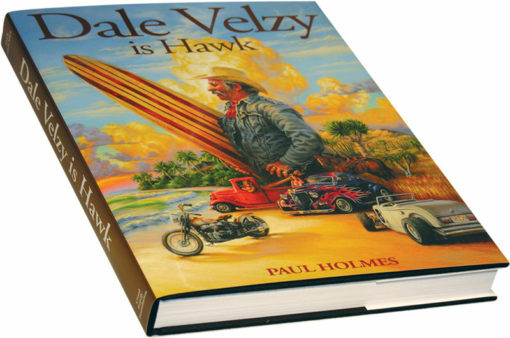 Dust jacket illustration by renowned artist, Phil Roberts. 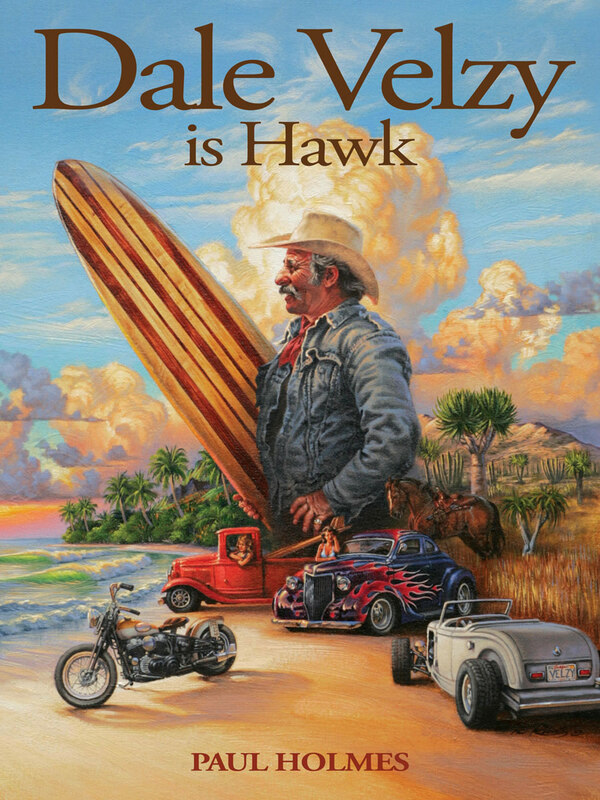 Dale Velzy’s is a story set in a time and place where a combination of climate, geography, local aerospace industry materials and Hollywood’s media machine made California and surfing virtually synonymous, giving rise to a new business model and a youth culture phenomenon that swept the world. Velzy didn’t single-handedly invent the surf lifestyle and industry, but his pioneering work as a craftsman, his charismatic personality and his knack for sales and promotions did much to establish the ethos, attitude and style. Known as “Hawk,” Velzy cut a colorful figure along the Southern California coast in the late 1950s when he was “the world’s largest manufacturer” of surfboards. With his diamond pinkie ring, big cigars and fast cars (including a “gullwing” Mercedes 300SL), he ran around with the Hollywood crowd and counted movie stars and moguls among his clients and friends. Velzy was the epitome of the maverick extreme boardsports entrepreneur—just 30 or 40 years ahead of his time. He was rarely without a beautiful young woman on his arm and he was married and divorced five times. Although his primary passion was always for surfing and surfboards, Velzy led multiple lives: as a great surfer and a fearless lifeguard; as a surf lifestyle pioneer and surfboard design innovator; as an avid Western horseman, occasional working cowboy and saddle maker; as a bow-hunter and marksman; as a hot-rodder and biker; as a gregarious socializer and barbecue wizard. 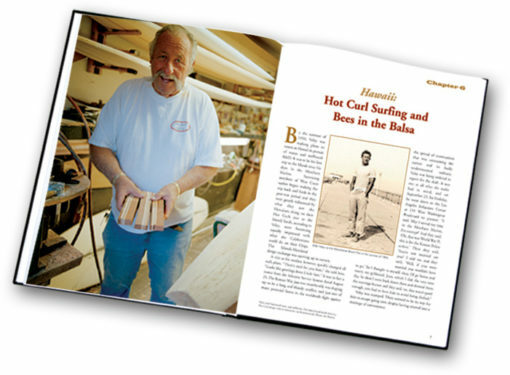 He had a special affinity for Hawaii and the Hawaiian people, first visiting the Islands as a Merchant Marine seaman in WWII, returning to surf and make surfboards there in the early ’50s and opening the very first commercial surfboard-building shop in Honolulu in 1960. A world-renowned surf spot, Velzyland, is named for him on the North Shore of Oahu and the beachfront property that looks out on its breakers has recently been developed as a gated community of multi-million dollar homes. Velzy’s pioneering business empire crashed just before surfing’s first major boom in the early 1960s when the Gidget movies and “surf music” made the sport a media phenomenon and a teen fad. His life continued as a roller-coaster ride of ups and downs, fame and obscurity, loves and losses. 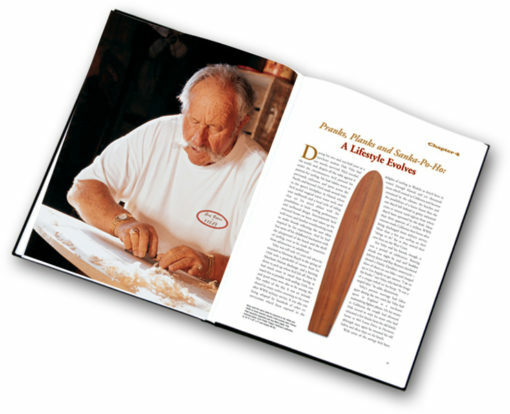 But he never lost his zest for life, his passion as a woodworker or his curiosity for how surfboards (and other such craft including racing paddleboards, kayaks, catamarans and sailboards) moved through the water. Velzy was marginalized in the shortboard surf scene of the 1970s and early ’80s, but he enjoyed a spectacular second act beginning in the mid-’80s with the revival of interest in longboard surfing and a growing appreciation for surfing’s roots and history. In later years he received a steady stream of commissions for replicas and reproductions of wooden boards, not intended for riding waves but to be hung on walls as works of art. Vintage balsa or foam and fiberglass surfboards he made in the 1950s have become collectibles fetching thousands of dollars apiece. Surfing and the surf industry as they exist today couldn’t have developed without individuals as talented, determined, and downright unconventional as Dale Velzy. 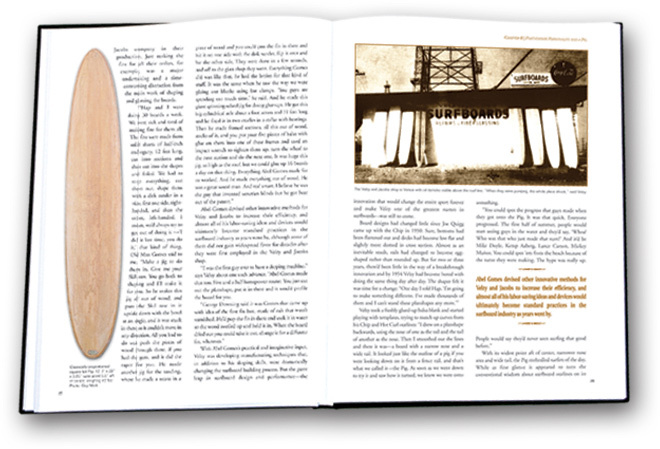 Through the prism of his extraordinary life, this book shows how it happened. Surfboard shaper, surf journalist, surf contest director and marketing executive, Paul Holmes’ career spans three continents and the era of surfing’s emergence as the iconic sport of society’s mavericks. From longboarding to the shortboard revolution and back again to the longboard revival, Holmes has pursued his love of surfing since his early teens as a “gremmie” in Cornwall, England. After shaping there for Bilbo Surfboards in Newquay, Holmes moved to Australia and pursued the craft at Keyo Surfboards, Farrelly, Morning Star and other labels. Later in Australia, he edited Tracks Magazine and was contest director of the 2SM/Coca-Cola Surfabout when it was the world’s richest professional surfing event. 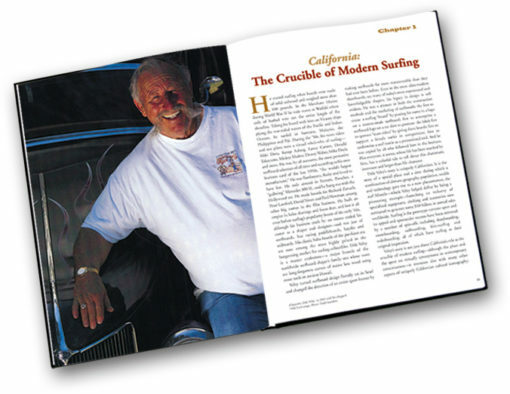 In 1981 he came to California to become editor of Surfer Magazine. During the next eight-plus years, Holmes oversaw the largest growth of revenues and page count in the magazine’s history, internationalized its coverage of the sport, co-produced the groundbreaking Surfer television series for ESPN and launched the radical and futuristic spin-off magazine, Beach Culture. Holmes subsequently worked as head of marketing for several surfwear brands, including Gotcha, Hang Ten and Bear and also for Action Sports Retailer, the industry trade show. 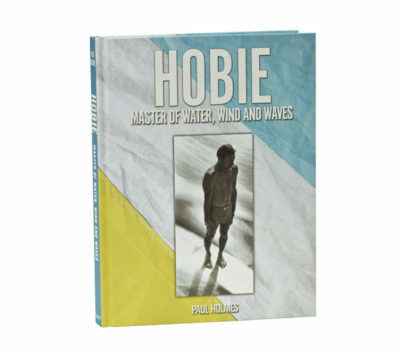 Holmes then returned to surf journalism, mostly for Longboard Magazine, where he used his diverse experience and insight to chronicle the lives of pioneers in the sport. Holmes has traveled extensively, surfing in places as far afield as Indonesia, Sri Lanka, Brazil, Costa Rica, Barbados, France, Portugal and, of course, Hawaii. He is based in Laguna Beach, California.